Boral has a lot to offer. As Australia’s largest Building and Construction Materials Company, we have career opportunities throughout Australia and across a broad range of disciplines from trade and engineering to manufacturing and logistics as well as a range of corporate functions. We have an exciting opportunity for an accomplished Project Manager to join our Major Projects Team rolling out a high profile civil project. Boral are currently looking for a Credit Officer – Major Accounts to help us Build Something Great in Kelvin Grove. Interested in joining an industry leader with supportive leadership and career development opportunities? Interested in joining a leading construction materials company? Apply today and benefit from job stability with this permanent full time opportunity! Boral are currently looking for a Concrete Batcher in Charge to help us Build Something Great in Airlie Beach. We are looking for an experienced fleet allocator who enjoys scheduling product to meet customer needs! Is this you? Exciting opportunity for an enthusiastic, customer focused individual to join our team as an Account Manager. Exciting opportunity exists for an experienced Electrical Tradesperson to join the Boral team at our Wellcamp Quarry! Relocation assistance provided! Flexible work options are available for an experienced Contracts Manager looking for a better work/life balance based in Kelvin Grove. Could you be our next Quarry Operator to join us in Redlynch and help us to Build Something Great? Great opportunity has become available to work in our hard rock quarry located at Currabubula near Tamworth, apply now and join a great team! Great opportunity for an experienced AP professional to join us on a 12 Month Fixed Term Contract. Conveniently located next to North Ryde station. Do you have experience in Blast Hole drilling and hold a Surface Blast Hole Drilling Competency? Or do you have an electrical or mechanical trade and are looking for a career change? Seeking plant operator for our quarry located at Teven, casual position, apply now! 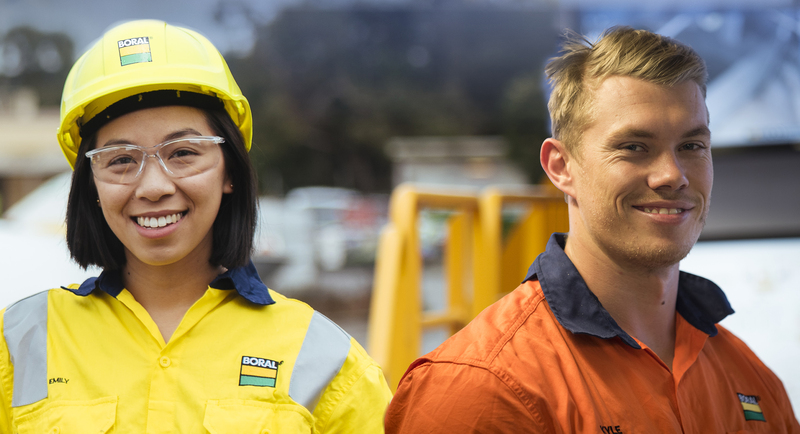 Seeking HR driver to join the Boral team located at St Peters, kick start your career in 2019, apply now! Exciting new opportunity for a motivated and customer-orientated individual to join the Boral team as Plant Operator. © 2017 Boral. All rights reserved.